Two Point Hospital is getting a special free co-op mode this month for players to jump into if they so choose. Hospital sim Two Point Hospital will see the addition of a new co-op mode as a free update set to arrive on April 30 via Steam. The Superbug Initiative is the Two Point Hospital version of cooperative play, and there's a new trailer detailing everything it will have to offer. The Superbug Initiative lets you work alongside friends (or enemies, if you want I don't know) to complete various in-game challenges. When you finish them, you'll get a ton of new technology, rare items, and other goodies to try and make your hospital operate much more efficiently. If you're interested in trying it out with a friend, you can try this mode (in beta, no less) as of today. Just take a look at your copy of Two Point Hospital on Steam, find the "Properties" tab, and choose the beta branch to opt-in. There will be additional challenges added at a later date, but this update should get you started on the right foot, at the very least. "Two Point Hospital is just what the doctor ordered. Management sim fans will eat this up and the game’s expertly executed presentation will be able to draw in players new to the genre with its humor and charm. While it’s far from perfect and can become frustrating at times, anyone who has had even a passing interest in checking the game out will come away pleased. During my playtime, I experienced no real bugs, crashes, or other technical issues. The game ran smoothly on my PC and is not particularly demanding of your hardware. Two Point Hospital is a wonderful time waster or the next sim game that you obsessively play for hours." 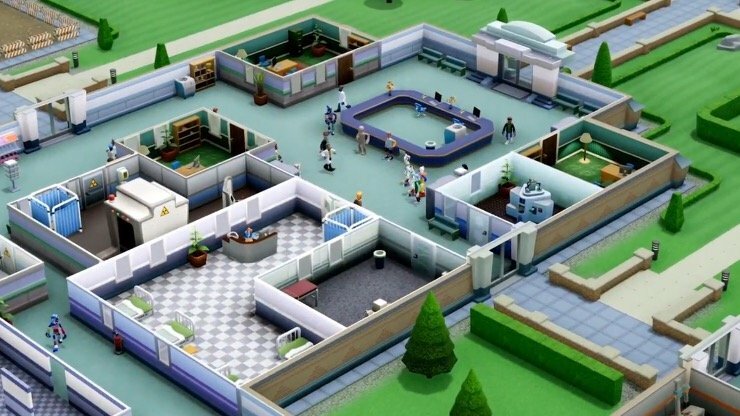 Are you excited about new content coming to Two Point Hospital? Be sure to let us know in the comments below. Ooh, this is a cool feature.